In recent years, social work academics and practitioners have highlighted the need to "re-claim" methodologies which unpack creativity and resourcefulness. In the bleakest of times many turn to humour to survive. Making a unique contribution to social work thought, this is the first book to focus exclusively on humour use in relation to social work. 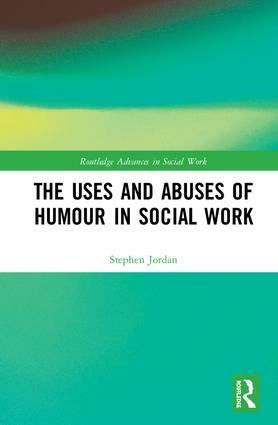 Over eight chapters Jordan covers a range of examples of social work humour, using examples from practice, fiction and research. He concludes that social work has a complex relationship with humour and that humour has an important role in social work as it enables social workers to hold contradictory views. It also allows society to manage its ambivalent and contradictory view of social work. Aimed at academics, students and social work professionals, this book explores social work’s sometimes uneasy relationship with humour. It will be of interest to anyone with an academic interest in humour. Stephen Jordan worked as a social worker for 19 years and now works for the University of Essex where he lectures in social work.